Back on the case this week. All four runs completed including my first TEN miler since January. 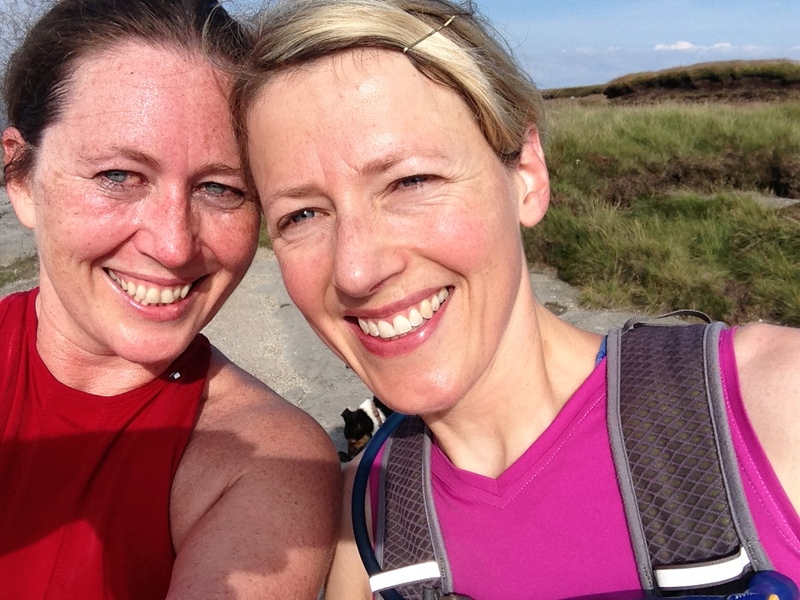 And even better, I have found a running partner – the lovely, Naomi, seen in pink above. I put a poster up in the village shop and Naomi said that she was up for it. We have been exchanging hellos and invites (which we have never managed to get to) for a while, so it was great to get out on the hills with her. I have to admit, I was a bit wary. She is, as you can see, super fit and I am not – yet. But I had been really honest about my times so I was just hoping it wasn’t too slow for her. Then on our first run we had one of those conversations. So my new running partner is a champion – and not only that she is also an Ironwoman. Ho hum! 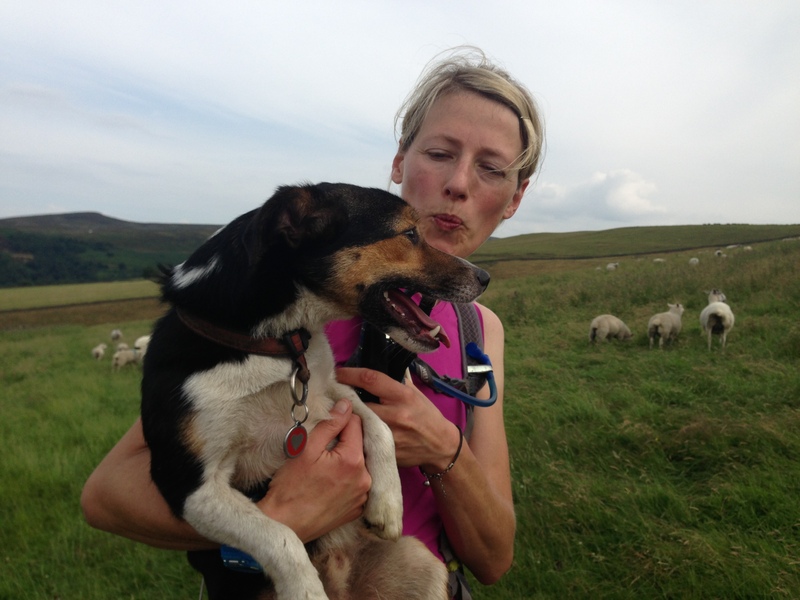 But she is generously slowing her long legs down to a trot for me and on Saturday we had a fantastic run/walk over Kinder. We had the lambent morning light, the fells all to ourselves, and Billy the running dog to keep us company. Fantastic. 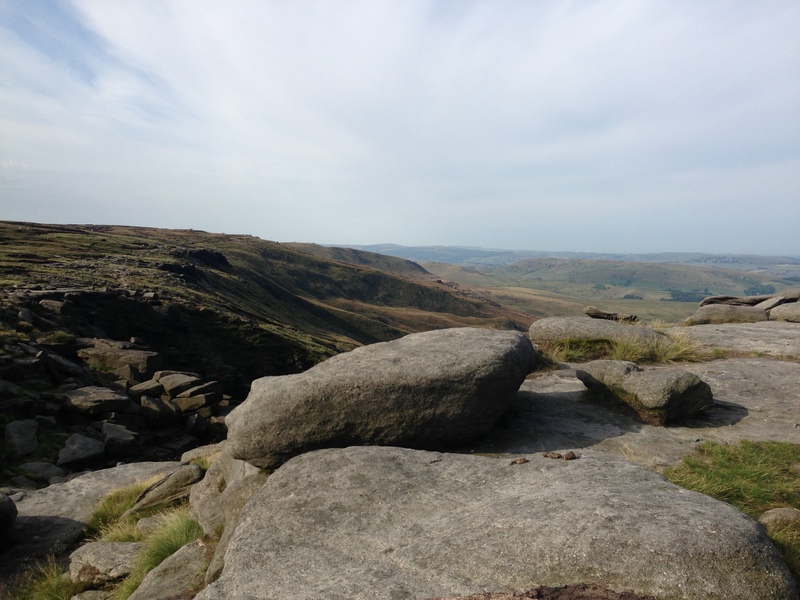 It is one of the most beautiful parts of the Peak District, and that really means something here, and we felt like the Queens of all we surveyed as we ran along the top. By the time I got back to my house, my legs were jelly, and my face was redder than my top. I grabbed a flask of tea and the Saturday Guardian and went and sat in the river with the ducks for half an hour to take down the swelling and ease those tendons. It worked, and the duck poo all over my running leggings was a small price to pay.